Skin needling has been practiced in some form or the other since centuries. Before needling, a variety of instruments were used to soften the depressed scars and deep facial lines over the years. Also known as micro-needling, skin needling is a collagen induced therapy. It is a minimally invasive non surgical procedure. It is non-ablative for facial rejuvenation. Skin needling system was first described by Dr Michel Pistor, the founder of mesotherapy in the 1950s. He came up with the concept of pricking skin to promote collagen formation, although he did not employ this method himself. According to Pistor, when skin is injured, the platelets release growth factors for the skin to heal. This promotes collagen and elastin. The TGFB3, transforming growth factor beta-3 molecule helps tissue to regenerate instead of scar. When skin is cut, the TGFB3 lasts only for 24 hours, whereas if skin is needled, there is a surge for at least 2 weeks. Topical anesthesia is applied before needling to numb the skin, which is pricked to the dermis layer where the nerves and blood vessels are found. It was Dr Fernandes who patented the roller for skin needling in 1998. He further firmly believed that this procedure should be made available at Burn Unit at hospitals around the world. Dr Fernandes uses two devices, a roller and a vertical needling stamp, used like a small puncher. He also felt that needling alone cannot provide optimal results unless supported by Vitamin A and Vitamin C which help to produce normal collagen. Popularly known as 'skin guru', Dr Fernandes introduced skin needling and the need for this procedure to be supplemented by his antioxidant creams. His argument is that while needling causes skin to thicken by 100 %, Vitamin A and C creams can cause 22 % skin thickening. If both are combined the result is 140 percent which is very good. Dr Philippe Simonin, a Swiss French dermatologist published his results in Baran's Cosmetic Dermatology in 1994, his ground breaking technique of skin needling. He had worked on 10 patients with skin aging and old scars, in his study of 600 patients. In his treatment of old scars, 60% improved with 5-6 sittings. Dr Andre Camirand, a Canadian plastic surgeon is another pioneer in skin needling, who experimented with tattooing facelift scars without pigment. His treatment showed improvement in texture and color. His needling procedures were performed with high speed tattoo gun, under local anesthesia. He treated each scar to pin point bleeding. This is a process of improving depressed skin scars, wrinkles and texture by inducing the production of new collagen for up to 12 months. When thousands of micro injuries are caused to the skin when needles are rolled over the skin, a process of creating wounds and wound healing is set in place, with the production of collagen. The face, hands, neck, chest, and back can be treated with skin needling but most commonly, the face is the only organ treated. Skin needling can be used to treat depressed acne scars. Hypertrophic surgical scars, chicken pox, deep facial lines, stretch marks and wrinkles are treated by this procedure. It is said to improve skin tightness and texture too. Skin needling can be done on all skin shades and types. Skin needling treatment is used for open pores, tissue regeneration and enhanced topical product penetration. But avoid this process if you suffer acne, open cuts or sunburn. There are a variety of procedures with varying degrees of intensity for skin needling. Skin rollers, with 3 mm needles are used for skin needling. Skin needling is aggressive and better results are achieved with fewer treatments. A local anesthetic cream is applied at least for an hour and anesthetic injections are then administered. This is done to numb the area before needling, so that no sensation from the actual skin needling is felt. Skin rollers are then rolled over the skin several times to induce thousands of microscopic injuries to the skin. After skin needling, topical retinoids are added to enhance the effects of skin needling and collagen production. To help reduce discomfort, anesthetic gas or some light anesthetic intravenous sedation is used. Some redness of the skin is observed up to a week after the skin needling procedure. Swelling can also persist for a few days. Some oozing of the skin can be observed for about 24 hours. Dressing is normally applied for a day to overcome this. Bacterial infection happens in few cases. Some develop small white dots, milia, on the skin as it heals. This can be removed easily. Acne can also breakout temporarily after treatment. Skin needling is suitable and can be safely done on all skin colors and types. One need not worry about post inflammatory hypo-pigmentation or hyper-pigmentation, as the dermis remains intact during skin needling. This is perhaps one big advantage of skin needling over other invasive procedures used to treat deep line and depressed scars. In skin needling there is significantly reduced risk of infection, reduced downtime period for healing and all at a reduced comparative cost. Moreover the results are also permanent. In skin needling, multiple sittings are possible for the same person, whereas multiple laser skin treatments to smoothen the skin are not possible. Skin needling can be effectively used to treat lip lines, pigmentation marks, removing traces of scars, superficial to deep cuts, severe acne scars, stretch marks and chicken pox marks and lines on lower eyelids. Skin roller produces hundreds of tiny channels in the skin, thereby causing dermal injuries. Each of these injuries triggers the body's natural wound healing response within the skin, by producing new collagen and elastin in the treatment area. Successive treatments also trigger production and deposition of new collagen and elastin to fill the depressed scars and deep lines. 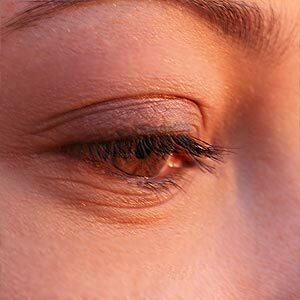 This induction of collagen can continue for about a year after treatment. With every successive treatment, the skin becomes firmer, smoother and more elastic and complexion is healthier. Thus skin needling works like a non surgical face lift. Hundreds of tiny channels produced by skin rollers increase the absorption of skin care creams. The skin roller also stimulates blood flow around blood starved hair follicles. The dead skin is gently exfoliated. Longer needles tend to become blunt quickly in skin needling. A 1.5mm needle will last only 10-12 treatments. A 1 mm will last of about 3 months but a 0.75mm needle can stimulate collagen and elastin long enough for 12 months with daily use. Pain and excessive bleeding inhibits users from performing effective treatments on themselves. A 0.75mm needle causes spot bleeding by stimulating upper dermis creating collagen and elastin yet it is short enough not to cause excessive pain and major bleeding. Medical professionals use medical face roller in combination with home care rollers and other treatments for deep ice pink scars and deep facial lines. Not so deep wider acne scars and depressed scars, aging, sun damaged and pigmented skin can be treated using home care rollers. Skin needling can be performed for whole face rejuvenation. It can be combined with tretinoin, hydroquinone and copper peptides. It is repeated regularly, as patient ages and there is no limit to the number of procedures undertaken. Ensure to use good quality instruments such as skin rollers and needles. Poor quality instruments may result in breakage of needles in the skin. Patients should be aware of the fact that multiple sessions shall be needed. For optimal results, other surgical procedures, such as using needle to cut fibrous bands between fat lobules, punch elevation can be combined. Local anesthetic cream application can prevent pain and help in performing the procedure better. It is better to leave a gap of 4-6 weeks between one procedure and the other. The results of skin needling vary from one patient to other, and while some achieve 90% improvement, it is less than 50% in some others. However, all patients who undergo needling show some improvement. Skin needling kits for home use are not as aggressive as the ones used at a clinic. They can be used just before application of a topical retinoid or Vitamin B and C serums. Those suffering from sun damaged skin or chicken pox or acne scarring can benefit from the home skin needling process. But the benefits might not be as great as there is not enough skin trauma to warrant release of sufficient cytokines that repair skin. The stimulation necessary for inflammatory healing response is not sufficient. First Published Date: 19 Feb 2013 Last modified Date: April 18 2019 This page may have been updated recently as new information is available or the content may have been edited for better readability.